Update a recessed light in your home with this energy-efficient LED recessed eyeball retrofit trim that allows you to turn the light in any direction. This LED adjustable white eyeball trim features a matching white gimbal ring. Control the direction of your recessed lighting with a 355-degree horizontal rotation and a 35-degree vertical rotation. This LED Eyeball spotlight recessed retrofit trim provides amazing advanced dimming capabilities and higher efficacy and longer life than compact fluorescent or Halogen lamps. LED recessed eyeball retrofit trim. Consumes 10 watts of power to produce a 810 lumen light output, comparable to a 75 watt halogen bulb. 2700K color temperature. 90 CRI. Fits a standard 4" recessed housing. Head 355-degree horizontal rotation and a 35-degree vertical rotation. Dimmable with select dimmers (not included). For new construction or remodels. 5.24" wide x 2.70" deep x 3.48" high. Trim is 5.24" wide. LED module life averages 35,000 hours at 3 hours per day. 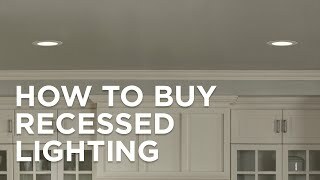 Need Help With Your Lighting? Top quality new construction ready housing from Juno Lighting. It is IC new construction rated so it can be covered by insulation. The line voltage light is also air-loc ready with a double wall non-perforated aluminum housing. 7 1/2" high. 6 3/4" wide. 9 1/4" long. Ceiling cutout 4 1/2". Recessed housing for remodel application where back side of ceiling is not accessible. Installed through an opening in the ceiling from below. Design for use in non-insulated areas. If installed where insulation is present, the insulation must be pulled back 3" from all sides of the housing. To be used with Juno Lighting recessed light trim. 11 3/8" wide, 5 1/4" high, and 4 13/16" diameter. BEST ANSWER: This is not designed to be mounted to a junction box. This is designed to be used and mounted to recess housing (new construction or remodel). I have added some options below you may use. Do I need to buy a specific dimmer for this product? BEST ANSWER: I have added some dimmer options below you may use. Do you need to go in attic or can you replace from underneath? BEST ANSWER: Hi - This is designed to be easily removed from your recess housing from the bottom. If you do not already have a housing, I have added some options below. Im looking for white led daylight . Is this a white light or "soft light" ie yellow light? BEST ANSWER: Hi, the color temperature for this light is 2700K, warm. Replace an inefficient incandescent recessed downlight 16.6 watt LED retrofit trim that has a light output comparable to a 75 watt incandescent bulb. This LED recessed downlight retrofit kitwith trim and a plain interiorreduces energy usage from 65 incandescent watts to a mere 10 watts.